This event will be preceded by a Transgender Day of Remembrance Ceremony which is free and open to the public and begins at the same location at 5:30pm. Want to be a better ally? 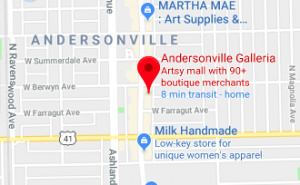 Do you own, manage, or staff a Chicago business? Learn about the importance of being a Trans-Inclusive Business directly from transgender and gender non-conforming (T/GNC) individuals. Why do T/GNC folks hesitate to access your goods and/or services? This Trans-Inclusive Business event explores the importance of creating a trans-inclusive business for transgender and gender non-conforming (T/GNC) individuals. 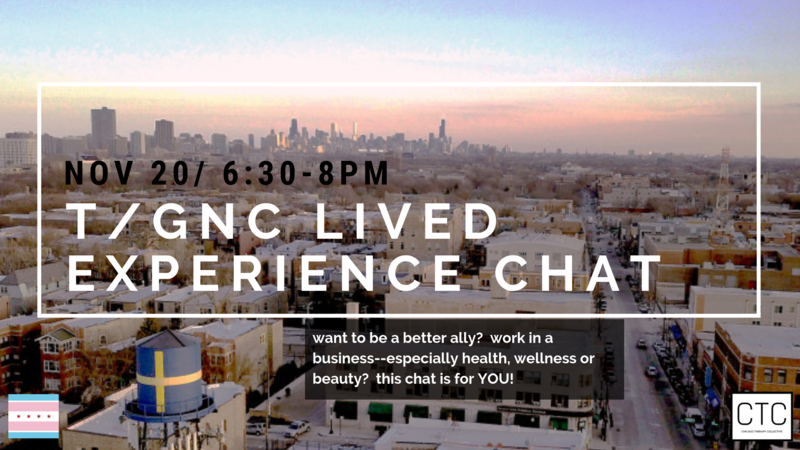 Hear about why T/GNC individuals hesitate to visit businesses from a panel of T/GNC customers, clients, and patients themselves. Learn what steps businesses can take to respond to these concerns. Business owners, managers, and staff will walk away knowing a few common pitfalls when caring for T/GNC customers, clients, and patients. Special attention will be given towards the second half of the panel to pitfalls within the health, wellness, and beauty business sector. Alexis Martinez is a 35 year resident in Andersonville and can often be seen walking around the neighborhood with her two granddaughters. She is a long time activist in the Trans community, a core organizer for the the Dyke March Collective and the Transformative Justice Law Project. In addition to participating in the T/GNC Lived Experiences Panel, she will also be the opening speaker for the November 20th Transgender Day of Remembrance ceremony with CTC in the hour prior to this event. 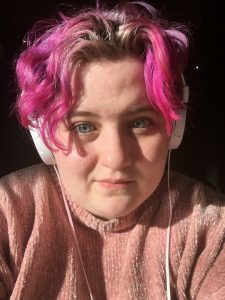 Mary Hadac is a media researcher and writing/photo/video freelancer who was born and raised in Chicago. Their original research has been presented at the National Association for Media Literacy and Education conference and their writing and photography has appeared in newspapers across the Chicago area. As a person with multiple chronic illnesses, they end up visiting quite a few medical providers and health and wellness based businesses. Mary also has an interest in beauty, particularly as it relates to wellness and self-care. Gigi Powell is a 24-year-old black woman of a trans experience. Gigi is currently the manager of a restaurant in the Chicagoland area where she continually witnesses the challenges and rewards of being openly trans and in a leadership position. Out of high school Gigi pursued cosmetology school and received her makeup certification. She worked for four years as a makeup artist for MAC Cosmetics. She has channeled her artistic talent and passion for helping the trans community into a variety of events involving make-up and beauty. 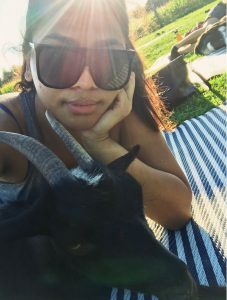 Gigi is interested in the ways race, gender, and beauty standards intersect and influence each other. Mirza Shams is a queer/gender-fluid Egyptian artist, musician (under his/their stage name NAXÖ), therapist, queerness/gender advocate and LGBTQ+ asylum seekers/refugees activist. Their/His work conjures a magical concoction that blends surrealism, symbolism and psychedelic waves of queerness, gender fluidity, queer-migration, mental-emotional health, eroticism and post-colonialism. Mirza Shams has a Bachelor in General Medicine and Surgery from Faculty of Medicine, Mansoura University, Egypt. 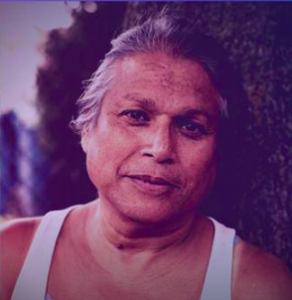 As a therapist, they/he incorporate their/his works in music and mental-health therapy settings around social, mental and emotional justice through mindfulness, queerness and cultural intersectionalities, and focusing on helping his/their communities around Chicago-land from queer-migration backgrounds towards their healing paths and true-self journeys. 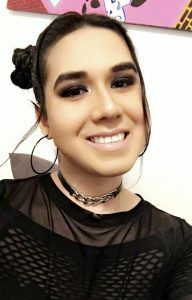 Karari Olvera is the non-binary trans femme first born of Mexican immigrant parent. 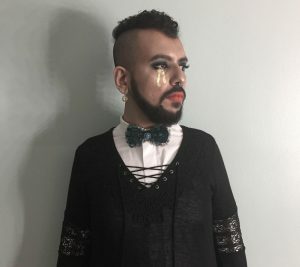 A writer, activist, public speaker, and makeup aficionadx, they sit on the boards of United Latinx Pride and the [email protected] Coalition and on the production team of America in Transition. You can catch them IRL in Chicago on the Hoodoisie, a live and live-streamed news show disseminating block-optic and radical perspectives on culture and politics, or hosting at DURO, Boystown’s only night centering and celebrating queer/trans femmes of color of all sizes and shapes. We recognize that taking the time to educate yourselves on how to be a better ally for T/GNC people is not always easy. We will give a shoutout on our Facebook page in recognition of the businesses that attend. Reaching our $2000 goal would cover all costs associated with putting on this panel, and potentially set aside funds for our next community training event. Help us exceed our $2000 goal and grow Chicago Therapy Collective’s T/GNC Training Fund. This fund helps produce trainings thereby making them more accessible for participants and pay our primarily T/GNC community member trainers and support staff. Sponsors will be recognized at the event, and acknowledged via our website, facebook, and instagram.